13.8" x 14.6" stitched on 14 count. 10.7" x 11.4" stitched on 18 count. 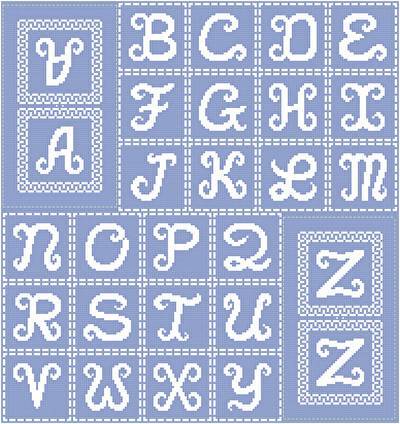 Script Monogram Ornaments cross stitch pattern... ORNAMENTS/GIFT TAGS - Use the border for all the letters. Designed for easy placement. May be used as ornaments or gift tags. All stitched in white. Instructions for making two sided ornaments given. Fabric color may be changed.